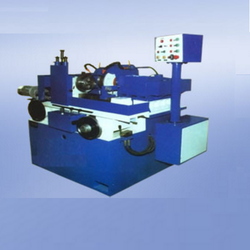 Our product range includes a wide range of cam grinding machine. We are offering Cam Grinding Machine to our client. Heavy duty one piece bed fabricated with 20 mm thick MS plate having SR Process. Automatic lubrication on the main movable slide by flow control valve. Electrical equipment Suitable for 415 volts +5% 50 Cycles + 3%, AC Supply. Simple coolant tank with Pump and piping. Turcite - B-Coated on the main movable slide to prevent stick-slip motion.